Many mobile tours are kind of like speed daters. They try to make the most impressions on the most people in the quickest amount of time, then move on. 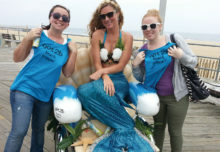 Stonyfield’s Know Your Food mobile tour, however, this summer took a different approach. Its strategy involved fewer markets but sticking around for two or three weeks rather than packing up after a day or two. It reached less people but connected with them more often, supplementing activations at large fairs and festivals with retail events, grassroots marketing and guerrilla sampling at each stop. It was a more meaningful affair, so to speak. The tour, which launched in June, provided the face of the campaign. It traveled in a colorful wrapped 24-foot box trailer pulled by a pick-up truck to fairs and festivals in six markets, such as Philadelphia’s Taste of Philly, Chicago’s Northside Summerfest and the Life is good festival in Canton, MA. 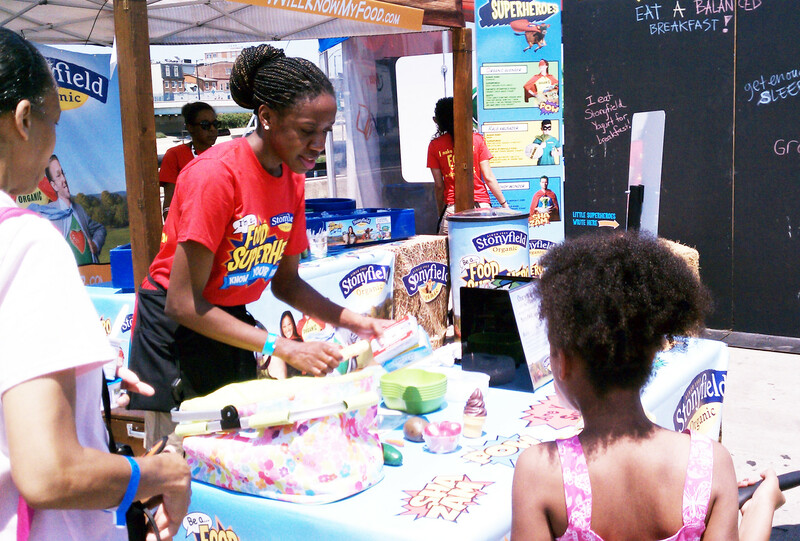 At the events, attendees met The Enlightener, Stonyfield’s Food Superhero character, and pledged to become food superheroes themselves by making positive food choices. They sampled the brand’s organic yogurt, played a healthy-food game and if they had a photo taken at a green-screen photo station, Stonyfield made a $1 donation to FoodCorps, which works to engage schools in bringing healthy food into their lunchrooms and gardens. Stonyfield began with a list of cities to visit, then narrowed it to those with the best events and its strongest retail partners. Besides Chicago, Philadelphia and Massachusetts, it also traveled to Miami, New York City and Washington, D.C. The tour spent a few days at each city’s featured event and also hit anywhere from two to six retailers per market, spending about four hours outside the store, engaging people as they entered and exited. The footprint ranged from a table, a tent, a 10-foot by 20-foot booth or the full tour, depending on the retailer. Some of the stores promoted the event to shoppers in their newsletters. But before the tour even came to town, it scoped out the community first, gauging people’s interest in having product drop-offs at their gym, office or even the local daycare center. The outreach included random stops at parks, radio stations, commuter stations and other high-traffic locations. Consumers could request product drops by tweeting the tour’s Twitter handle, @organicroadies. 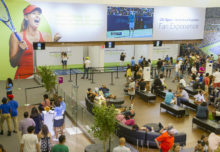 The repeat interactions over the extended period often sparked conversations with consumers who suggested product drop-off locations and voiced their opinions. “We wanted to know what is going on with them, how they feel about our products,” Palange says. Because love at first sight is nice, but love that lasts is nicer.